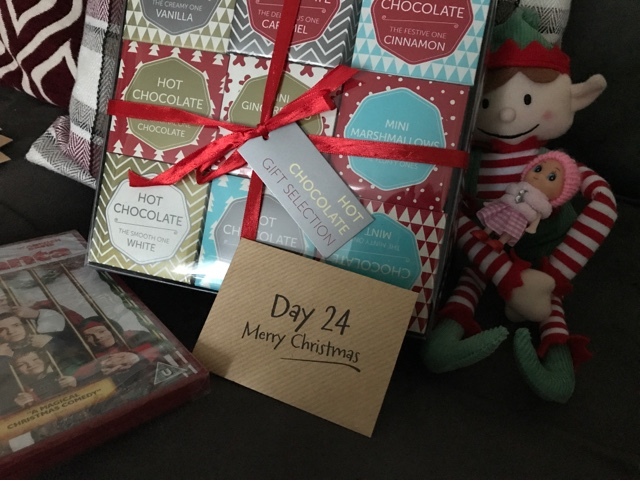 This was the last day for this years Elf on the Shelf and this time they left a DVD and a wonderful selection of hot chocolates for the girls to enjoy this evening as they wait for Santa to arrive. What a thoughtful gift, well done the Elves! We have a festive polar bear who turns up in a new location on the farm each day, perhaps he should deliver some gifts too! Merry Christmas to you and your family. Ahh! How exciting! I nearly cried reading the last elf letter. hehehe It was so sweet.